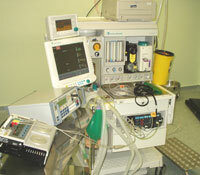 Hugo Technology Limited is an independent medical equipment maintenance and management company. Their aim is to provide a professional value for money service to all of their customers. Hugo Technology Limited offer a comprehensive service covering a wide range of equipment, from blood pressure machines, nebulisers and scales to defibrillators and multi parameter monitors. Hugo Technology Limited test, calibrate and repair most types of bio medical equipment, adapting to individual needs and requirements by offering a package tailored specifically to each customer. Customers include NHS Hospitals, Private Hospitals, PCTs, GPs, Clinics, Private Nursing Homes and Equipment Manufacturers. Hugo Technology Limited specialise in providing EBME services, and are totally independent of manufacturing and supply of medical equipment. This allows them to give a balanced view of products and services that are available. The customer can be assured that an equipment purchase is tailored to their needs and not to a sales commission. Hugo Technology Limited's purpose built workshop is centrally located in Worcestershire. They are therefore able to maintain and repair equipment at their premises, as well as offer field service at customer’s premises. Services offered to OEM and equipment supplier’s range from one-off contracts to providing a full service department facility. This allows OEM’s to concentrate on selling equipment, and see a fixed cost for service and maintenance allowing them to budget for service contracts. All of Hugo Technology Limited's EBME technicians are fully trained to at least HNC or equivalent in Electronics or similar field, and all equipment is serviced and repaired to manufacturer’s specifications. They record full details of all equipment serviced and repaired on their Service Reports, and also detail what test equipment has been used, all traceable and calibrated to national standards. Hugo Technology Limited are in an extremely fortuitous position to bring public and private resources together in supplying EBME services to a wide range of customers. All services offered are aimed at improving the quality of care to patients. Hugo Technology Ltd was formed in 2001 due to a market that required the need for third parties to provide a quality medical equipment service department for the private sector. The company has gone from strength to strength and has seen a very quick expansion due to the range of services provided and the ability to deliver in a high pressure demanding environment. Hugo Technology Limited offer a range of services to customers in all sectors of the medical market including NHS hospitals and GPs, to private hospitals and clinics. Hugo Technology Limited offer maintenance services for individual items and customers, up to national contracts for larger organisations. Hugo Technology Limited's aim is to be one of the leading independent suppliers of specialist maintenance services to all sectors. To do this they concentrate on providing services that are essential to the modern day healthcare professionals. In 2005 Hugo Technology Limited moved into their new premises of 4000 sq feet comprising of technical workshops, offices, meeting rooms and storage. Extra capacity now allows them to offer contracts on a larger scale to customers who require a bespoke service. Towards the end of 2006 their ISO 9001 – 2000 process will be complete to add extra reassurance to their customers of the reliability of their service. All work carried out is in accordance with manufacturers recommendations and specifications, and all test equipment is calibrated to national standards.